The World Cup is perhaps the most-watched sports competition in the world, bringing together 32 top-ranked soccer teams eager to battle it out for the coveted FIFA World Cup trophy. 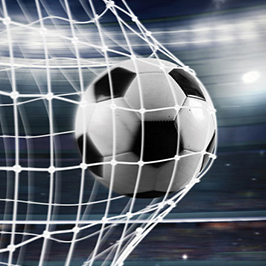 The World Cup also offers some great sports analogies for people working in public relations and delivers some pointers for developing a winning public relations strategy. Create a game plan, anticipating/overcoming obstacles, executing and achieving goals. Don’t forget to include social media, especially Twitter. I follow various journalists on Twitter, and it has been beneficial in a few ways. Following them allows me to get to know each journalist and stay updated on the stories they’re covering. Also, it’s not uncommon for journalists to post requests for sources. It’s helpful to group contacts together by creating Twitter lists. For instance, if you’re working with clients in the energy or healthcare sector, create separate lists for each area and scroll through when you have time. In addition to your internal communications or marketing group, consider the media as members of your team who will help deliver your message. Become familiar with the work of journalists with whom you are trying to make a connection. Read their stories; watch their LinkedIn and Twitter feeds. Carefully choosing the right stories to pitch will ensure your success in getting into print, radio, television or social media. Germany, the champion of the last World Cup, was recently beaten by Mexico, an underdog in the competition. Germany’s defeat illustrates how you should never underestimate your strength. Just because your PR team is small (or perhaps even a team of one) doesn’t mean you can’t be successful in generating awareness for your firm – even when facing a crowded field of bigger competitors. Use this mentality when approaching daunting media contacts. Don’t think that you can’t successfully pitch the large media outlets, like the Wall Street Journal, to secure an amazing feature for your company. These challenges will provide the opportunity to grow and improve your media relations skills. In addition to a comprehensive communications strategy, don’t forget to develop a crisis communications plan. It’s not just legal consequences that your firm has to worry about. Often, the judgments delivered in the court of public opinion can be just as devastating to your business as those passed in a court of law. If not handled correctly, the outcome of a crisis can have a profound effect on your company’s reputation and even financial worth, which could take months or even years to restore. Resist the temptation to target only the media outlets with large circulations. Remember who your target audience is. Just because it is large, it doesn’t mean that a given audience is necessarily the buyer of your services. Don’t become so focused on the editors and traditional reporters that you forget to build relationships with bloggers and freelance writers. To be competitive and maximize your investment, PR has to be part of your integrated communications effort. Once you’ve secured that press placement, you’ll want to leverage it across every digital channel, including posting on social media, adding to your online newsroom (you should have one), writing a blog about the news, and sharing it with your email database. You can also leverage the win for and with additional opportunities, such as speaking engagements and contributed articles about the news topic. Tune in for the World Cup final on July 15. Need help with PR strategies? Contact me, Carlos Arcos, at carcos@jaffepr.com or leave a comment below on how your PR strategy relates to the World Cup.